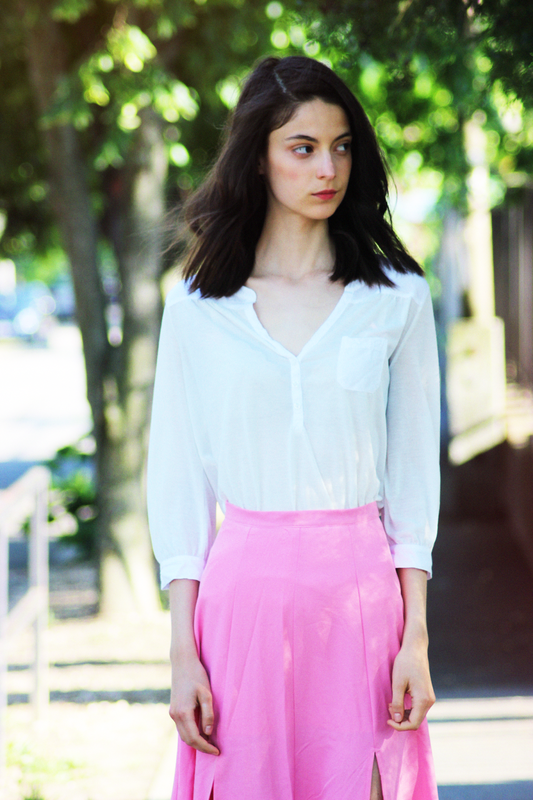 Feeling slightly princessy wearing this pink skirt from Younghungryfree. Not exactly what I'd be wearing on an everyday basis running from one place to another on public transport but definitely something I'd choose walking along the seaside. But that's a bit far from here right now. Wish you a lot of strength! I love the lines of that skirt! That skirt is amazing and pink looks so beautiful on you!